Task description: Here is my activity I did, here you can see there is a picture of a t-shirt and another image of these letters and stuff. you might be thinking what is it well I had to pretend I was an athletes agent and I had to pick the sponsors for my athlete. 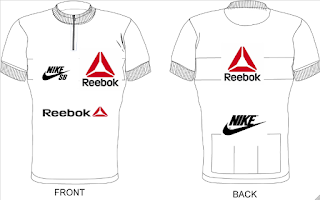 so I chose Reebok for my main sponsor and for my sub sponsor is Nike. All the money added up together was $17,000 wow that is a lot isn't it.